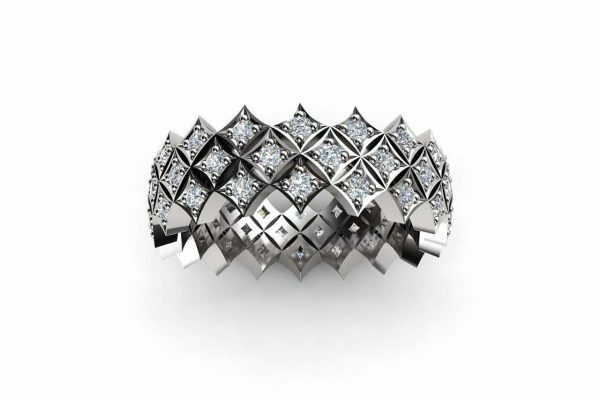 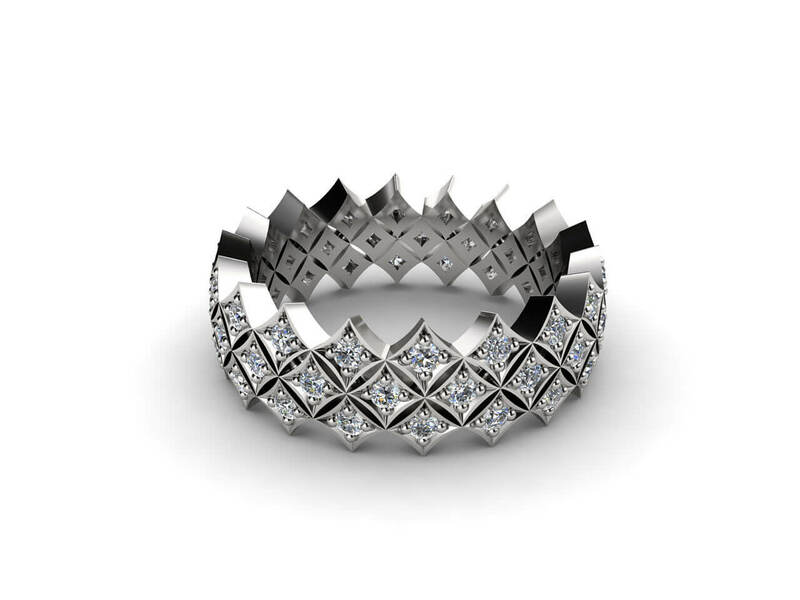 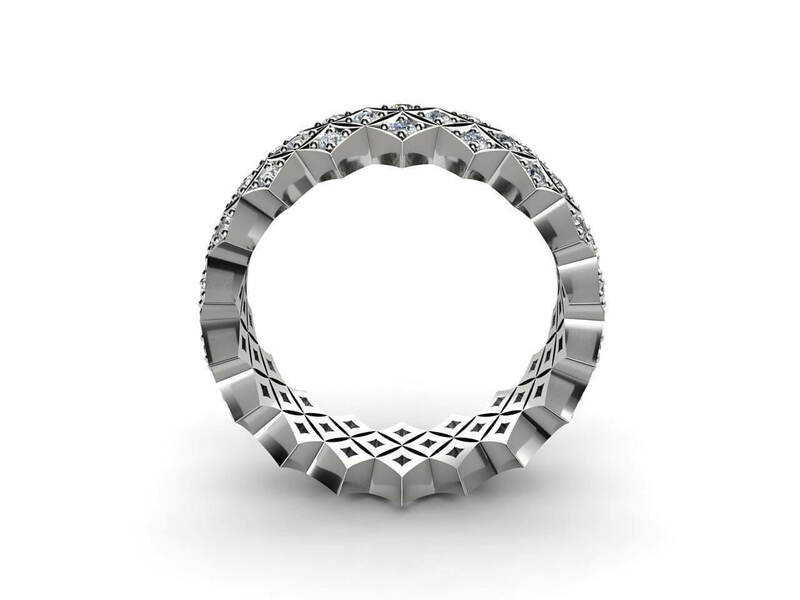 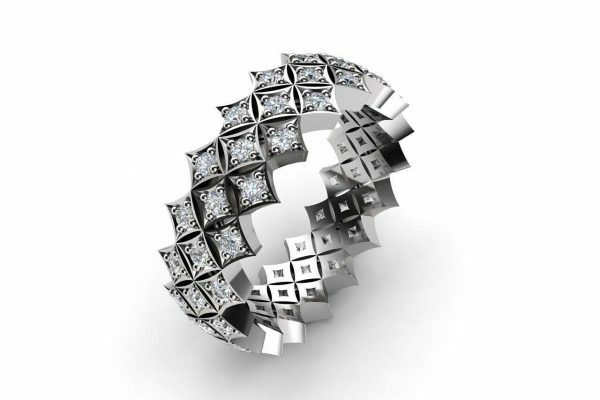 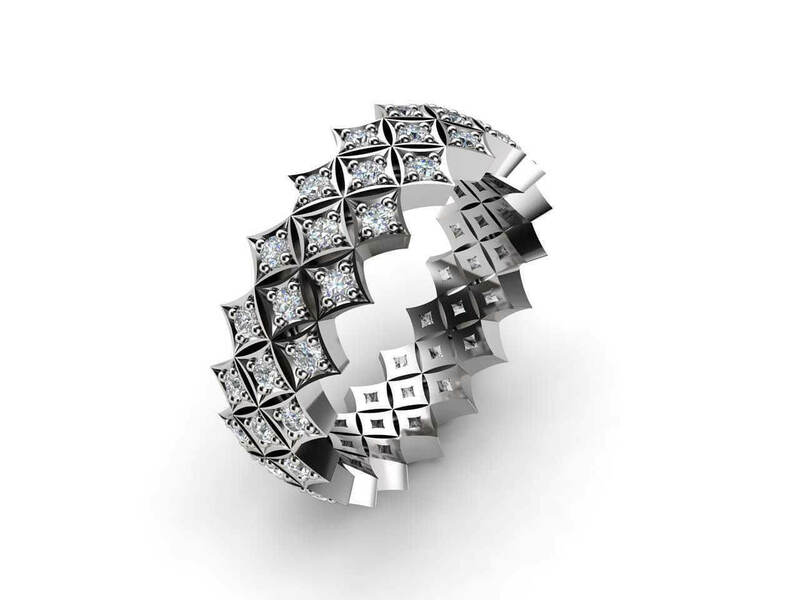 Break away from tradition and go for a look that is a little less ordinary with this three row unique wedding ring featuring 54 dazzling Round Brilliant Cut diamonds. 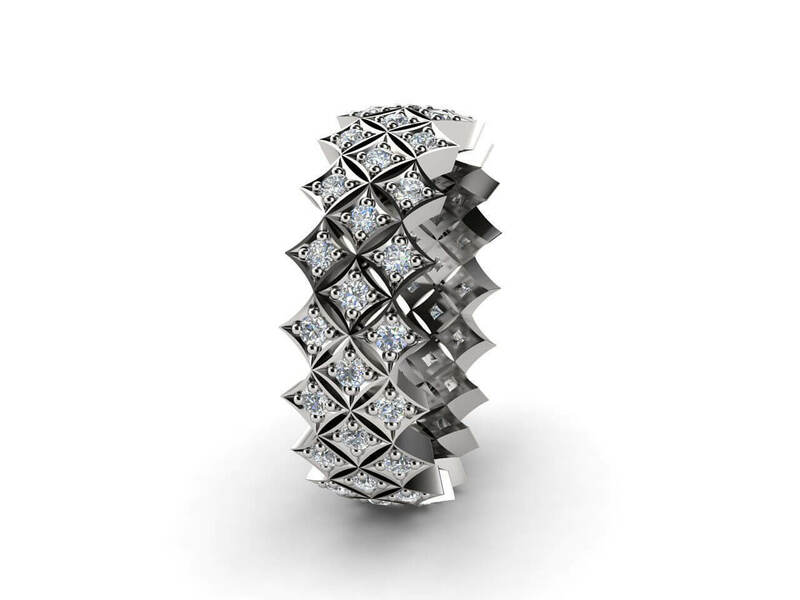 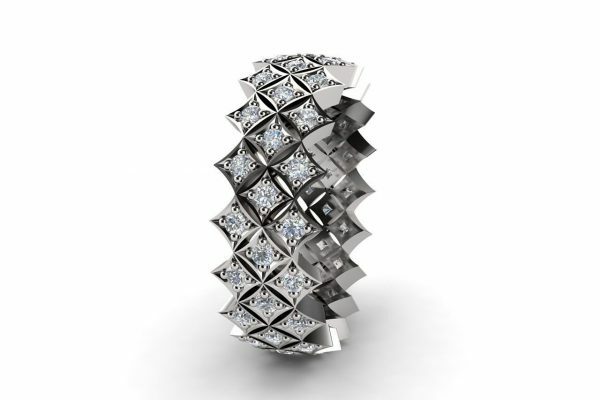 The diamonds are beautifully set in individual diamond shaped bases that adds to the overall texture of this one of a kind ring. 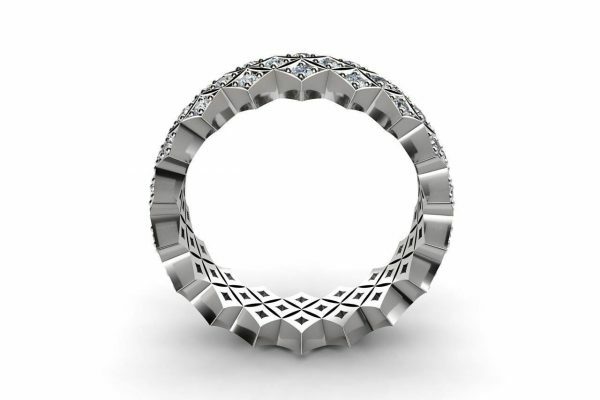 As stylish as it is eye catching, this modern eternity style ring can be crafted in 18ct white gold, yellow gold, rose gold, two-tone or platinum.